The fourth industrial revolution may be not televised but it will be digitalised. If changes to work caused by automation are not dealt with properly, more than 230,000 Unite members could lose their jobs by 2035. That’s why the union is consulting with members to develop workplace plans to respond to the coming technological age. Unite organising executive officer, Sharon Graham, has been speaking to Sector Conference delegates about the emergence of what’s being called Industry 4.0. Graham will also be meeting with stewards and reps over the coming months to draw up sectoral and regional plans to mitigate the dangers and exploit the benefits of the technologies set to disrupt the way we work. She said, “Obviously automation isn’t anything new, but what’s been said by all of the economists, whether in Britain, Germany, Ireland or America, is that Industry 4.0 is going to be like nothing we have ever experienced before. Graham is clear that automation is not all bad news, but the union-wide conversation is first focusing on the threats workers could face from the spread of four key technologies. Along with online transactions and other internet based business, these technologies are the “internet of things” – where objects and devices are connected to a network and communicate with each other – robotics and machine learning. “Advances in machine learning is probably the single biggest factor driving automation. The fact that a machine can be programmed to do a job, learn from mistakes and reprogram itself to do the job in a different way could have a massive effect on the labour market,” explained Graham. 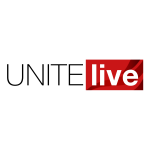 To protect members Unite is assessing the threat of Industry 4.0, developing a risk register, bargaining for security and readying workforces for action against damaging automation policies. There are currently 11 sectors at high risk from automation including: manufacturing and engineering, health, local authorities and food, drink and agriculture. Industry 4.0 preparation, however, is needed across all sectors of the economy and within law. Graham said new legislation and agreements – such as shorter working time and job protections, better retirement policy, job or salary guarantees based on production volumes or service delivery and sectoral collective bargaining – will also need to be considered to ensure workers are protecting during the changes ahead. Research and development in sectors that produce numerous decent jobs from automation will also need to be a priority, as will education and training in the skills necessary for the new economy. Graham said, “Industry 4.0 can be a good thing, but only if workers get something back – only if it changes the way we live for the better.